Parisians have long known the pleasures of luxury, and after a day of browsing designer boutiques down chic cobblestone streets, tasting decadent pastries, and sipping local champagne, true indulgence is coming home to a designer retreat. 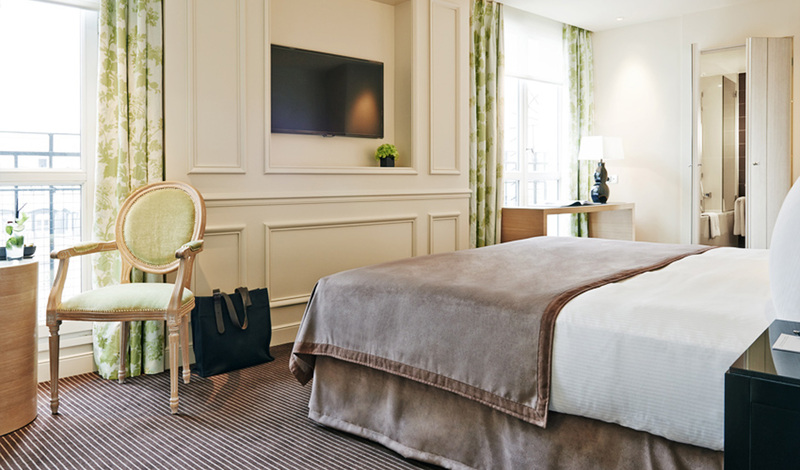 With only 68 rooms and suites this stylish and intimate city haven is the perfect spot to unwind after a day exploring Paris. 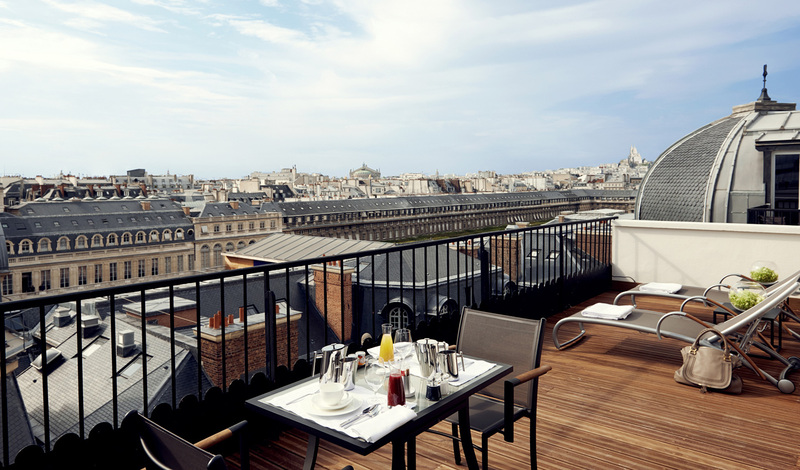 Overlooking the Palais Royal Garden, the Grand Hotel du Palais Royal is set in one of the city’s most refined neighborhoods just off the rue Saint-Honoré; nestled amongst stunning historical architecture, cultural attractions, and exclusive boutiques. The hotel itself is a magnificent 18th Century building, parts of which are officially declared a historical monument. With Pierre-Yves Rochon’s decor, a world-class spa, and a premier restaurant, this hotel is antique in the way the Queen’s Jewels are; perennially in style. If you wish to stay in the heart of Paris, within walking distance (and often within sight) of The Louvre, the Tuileries Garden, the Comédie Française theater and the Palais Royal, as well as its gorgeous garden, this is the place for you. Surrounded by exclusive boutiques, restaurants and Parisian cafes, exclusive art galleries and art dealers; the best of Paris is on your magnificent doorstep. The only difficult decision you’ll have during your stay is deciding between the Terrace and the Panoramic Suites. Both located on the top floor of the hotel with access by private elevator, the spectacular rooms boast private terraces, Nespresso machines and fabulously deep bath tubs. The toss up, then, is between a spectacular view of the Palais Royal and its glorious garden or a panoramic view of the Louvre, the Eiffel Tower, Montmartre and the Opera Garnier. We’ll leave you to mull that decision over. With so many sights and stores at your finger tips, a spot of afternoon tea seems the perfect way to savor a moment in this cultural hot spot. The hotel’s bar lounge is one of our favorite places in the city to savor a delicious sweet, prepared in-house by the pastry chef. This pretty lounge also offers an inventive selection of finger sandwiches and an unrivalled cocktail menu as night falls.